Place brownie in individual serving bowl. 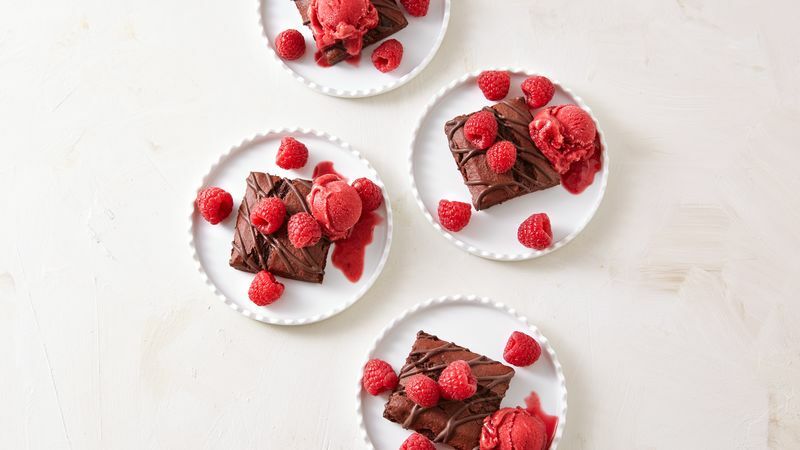 Spoon sorbet on top of brownie. Dot sorbet with fresh raspberries.